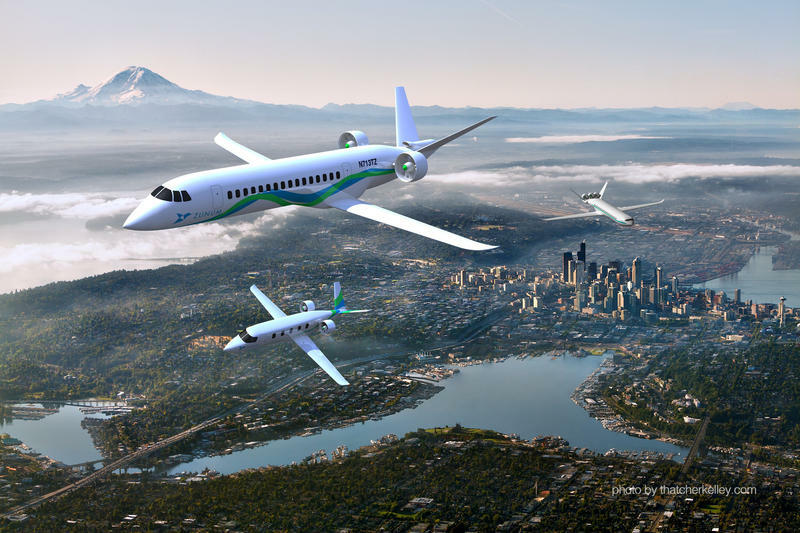 A rendering of what a sky full of electric planes would look like. In the next decade you may be flying on a tiny battery operated plane for as little as $25 to a destination you might have otherwise driven. Start-up Zunum Aero is building a fleet of hybrid-electric planes to handle those short flights with financial backers such as Boeing Horizon X and JetBlue Technology Ventures. In a news conference last month Zunum said it wanted to be flying routes of up to 700 miles by 2025 and up to 1,000 miles by 2030. Eventually Zunum would rely on batteries exclusively, but according to Aviation Weekly technology editor, Graham Warwick, "The battery technology isn't there yet." He told the BBC, "It's projected to come but it needs a significant improvement. Nobody thinks that it is going to happen anytime soon." Kumar says the battery technology is already here. Zunum is seen as the leader in the hybrid plane field, but the Seattle-based company has competition. The Washington Post reports Airbus has been developing its "E-Fan" hybrid electric aircraft since 2014. The Verge reports Uber, Airbus, the Defense Advanced Research Projects Agency (DARPA) and Google are all developing "VOTLs" (vertical takeoff and landing aircraft). Zunum says the market for electric aviation is between $2 and 3 trillion.